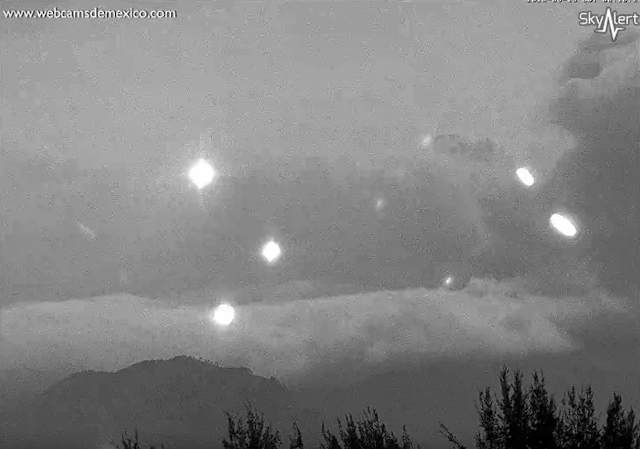 UFO SIGHTINGS DAILY: Fleet Of UFOs Fly Around Mexico Volcano On Live Cam! June 19, 2016, Video, UFO Sighting News. Fleet Of UFOs Fly Around Mexico Volcano On Live Cam! June 19, 2016, Video, UFO Sighting News. 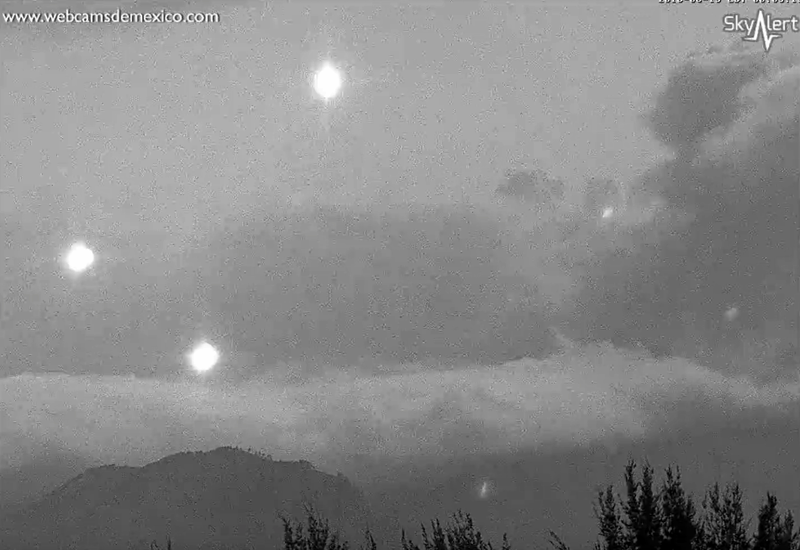 I have been watching this volcano for over 5 years and have caught a few UFOs here and there, but this is the most extraordinary video from the live Mexico volcano cam that I have ever seen. I have seen such a UFO before on this cam, but it was alone. Here we see over ten of them flying around. I believe the only reason these UFOs can be seen is that at this moment, the camera had on its infrared mode, which means it can see things the human eye cannot...basically its night vision on steroids. Such a camera does exist and can be found for sale by clicking here. Below is a similar sighting from 7-6-2015 at Colima Volcano, Mexico, very close to Popocatepetl Volcano. Below is a video recorded from live cam of a 200 meter UFO entering the Popocatepetl volcano on Dec 2012. I actually made a post about all these back then.